Welcome to this beautifully maintained and updated condo in The Fountains. The open floor plan flows through the great room style living room and the dining room, to the large, bright kitchen which has all new appliances. 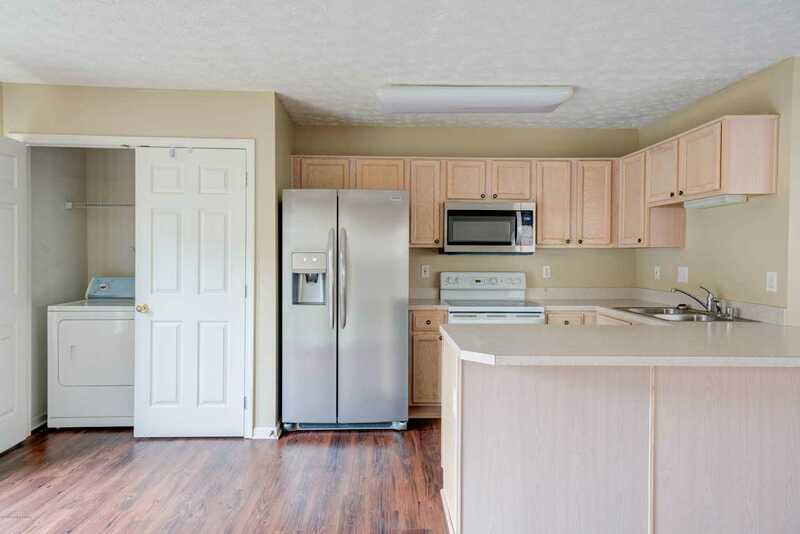 The laundry room is conveniently located on the first floor off the kitchen. There is plenty of storage with numerous closets including a large pantry/game closet and a large walk-in closet in the master upstairs. Storage is also abundant in the attached 2-car garage. The bathrooms were updated in 2017 as well as all new blinds. The back patio makes grilling out and outdoor play ideal. Come see this amazing condo today! SchoolsClick map icons below to view information for schools near 8343 Grand Trevi Dr Louisville, KY 40228. MLS # 1524224: This property at 8343 Grand Trevi Dr, Louisville, KY 40228 is located in the The Fountains subdivision and is listed for $129,000. MLS # 1524224 has been on the market for 75 days.